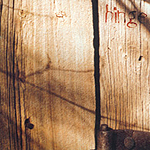 Produced by Wade Baynham of The Basics, Zoubek and Bryants first recording, Hinge, was released to a sold-out crowd at Bostons legendary folk venue Club Passim in 99. The phantom Tollbooth review of the album stated: "Rollyn Zoubeks female lead vocals are that rare form of world-class artistry that must be heard. She sings both deftly and emotionally, without resorting to either emotionalism or blatant showmanship." Even Art Garfunkle weighed in: "This is my kind of music." 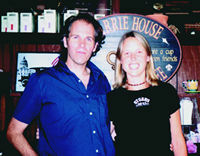 Following the release of their first record, Zoubek and Bryant took to the road with Awakening Records on the Spring Forward 2000 tour, performing in colleges, coffee houses, clubs and churches across the United States.